London Vegetable Orchestra #MusicMonday « Adafruit Industries – Makers, hackers, artists, designers and engineers! 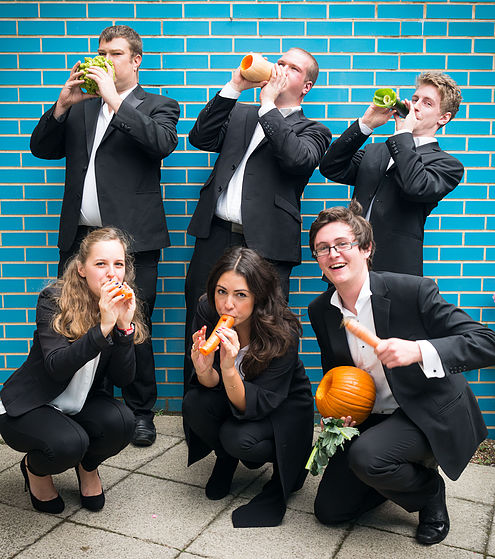 The London Vegetable Orchestra (LVO) is the UK’s only ensemble offering audiences literally ‘Home Grown’ entertainment. As the group’s name suggests, the instruments are made up of hand-crafted local produce, and they sound as incredible as they look! The orchestra features a mouth watering brass section of courgettes, squashes, peppers and cassava roots, a soaring wind line-up of carrot recorders, and a banging percussion team which includes freshly carved pumpkins.